GTENG T908W WINNER RC quadcopter features the innovative modular design. You can assemble all the modules without any difficulty and start flying immediately. More importantly, this type of design improves the ease of maintenance, since it is easier and more economic to replace different parts. The 0.3MP WiFi camera transfers the fascinating real-time FPV to your smartphone when you are controlling the UAV, as if you were seeing with your own eyes. Various user-friendly functions, like One Key Takeoff / Landing and Speed Switch, are provided for you to explore more fun in flying WINNER. 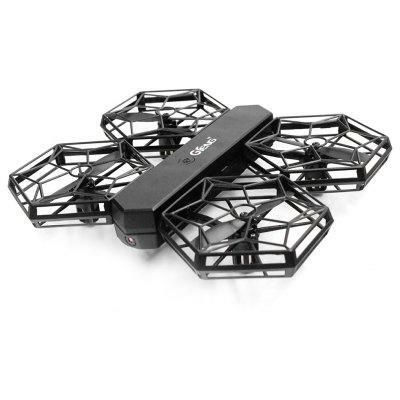 Want to be notified when the GTENG T908W WINNER DIY RC Quadcopter - RTF gets even cheaper? Make sure you snag the best price by entering your email below. We'll email you when the price drops, free! We're tracking the price of the GTENG T908W WINNER DIY RC Quadcopter - RTF every day so you know if that deal is really a steal! Check back for to check the best price for this product - and whether its current sale price is really the cheapest it's been! No GTENG T908W WINNER DIY RC Quadcopter - RTF coupons found!